T. Padmini is an accomplished veena artiste in Visakhapatnam. She performs and teaches the veena and vocal music. She has a Ph.D in music. “We were late. We were running in the street. 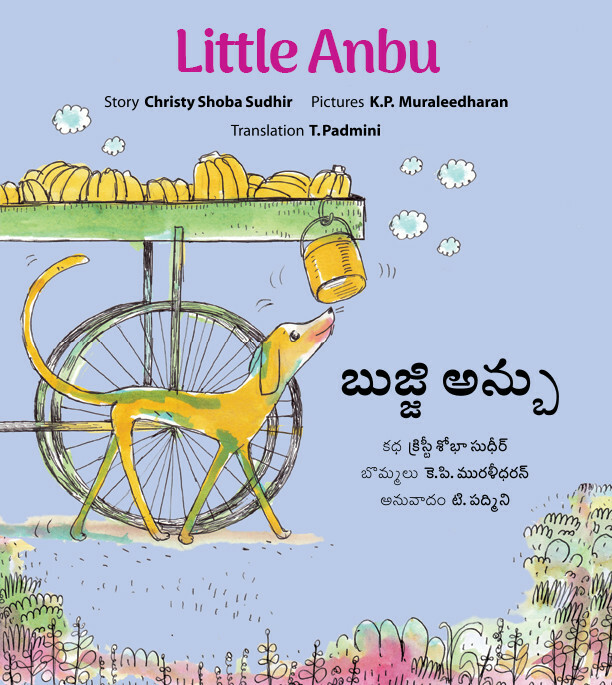 We had played in the river, and we had climbed trees...” Everything Amma had said NOT to do! 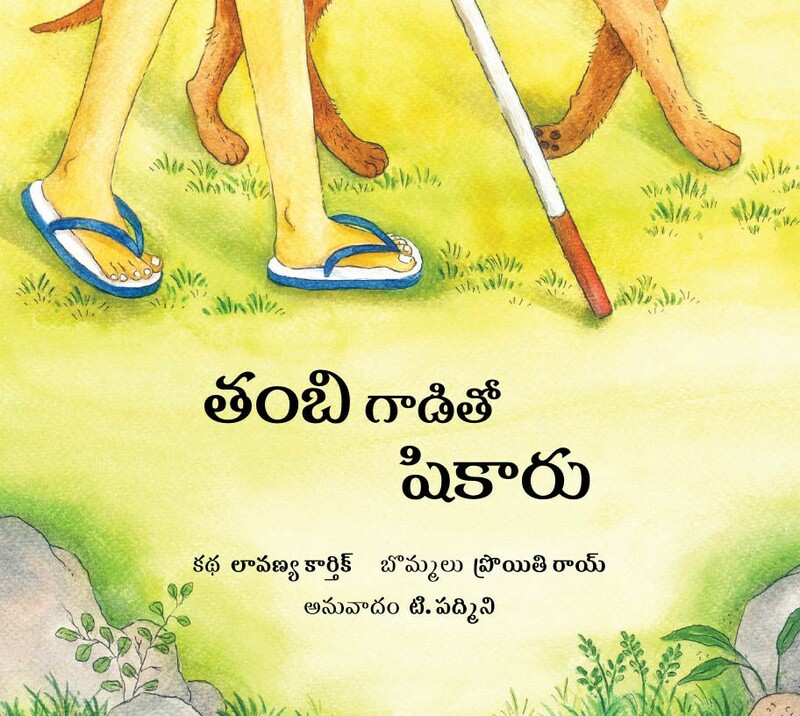 A story of everyday fun that lights up the close bond between a boy and a dog, with clues that gently tell us that the boy is blind. 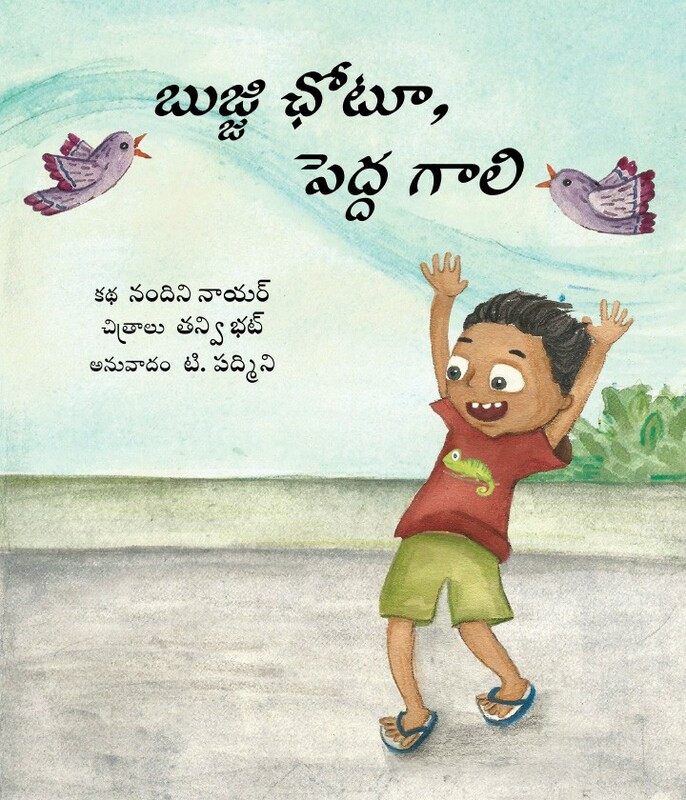 Playtime on the terrace takes a turn when a strong wind sweeps Chhotu off his feet and carries him up and away to the clouds and the birds! The light and lively illustrations whirl us to the sky and back. 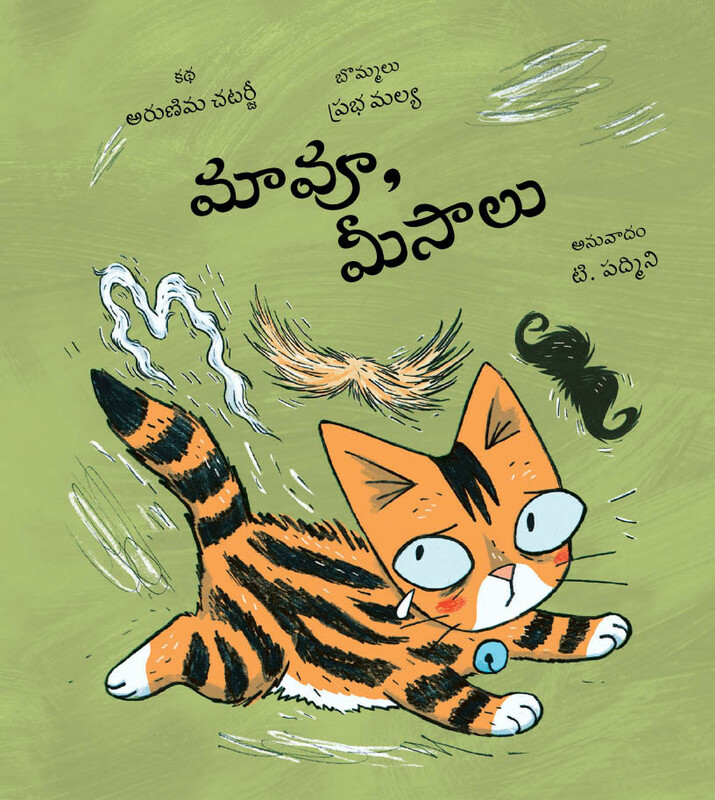 Maoo the kitten looks up — and there… above Murali Mama’s jolly smile is something thunderous and black, thick and curly… his moustache! Terrified, Maoo runs away. It takes more encounters with all kinds of moustaches and a few whiskers for his hairy woes to end. Every day Soosaiamma sets off selling things from her cart. And every day little Anbu follows the delicious smells coming from her lunchbox. Does he get anything to eat?